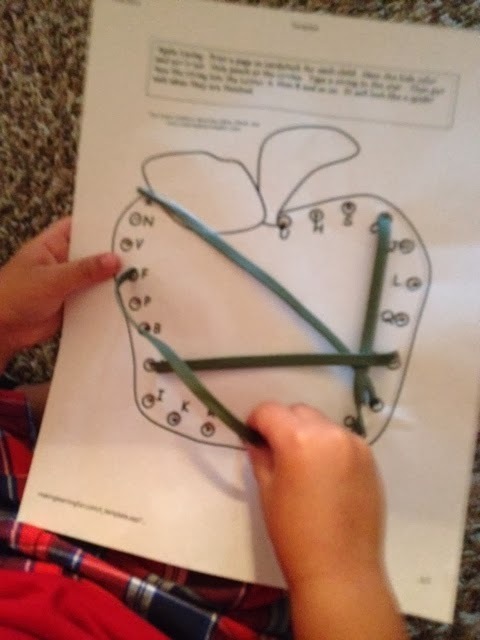 We have had a blast this week learning about apples, reading apple stories, and doing apple arts and crafts. 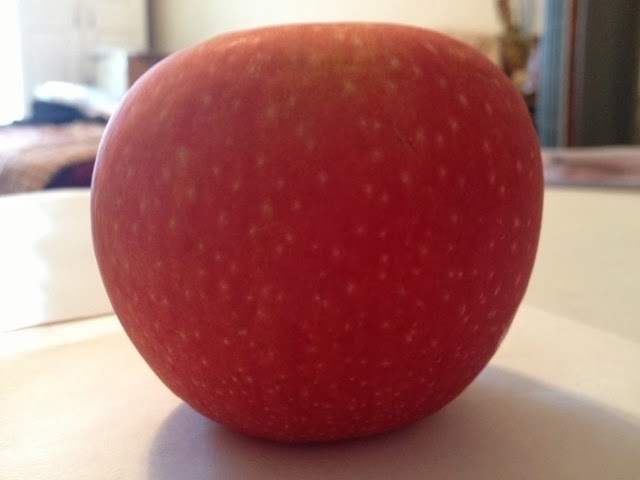 I love apple season, it is the perfect onset into fall. I decided to stretch our “apple theme” out for two weeks. I realize it can be used for even longer if I wanted to do so, but I am READY to start doing other fall activities. 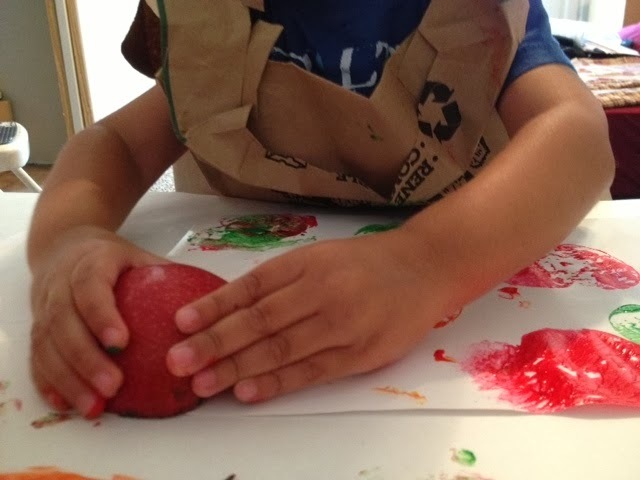 Anyways…I wanted to share a few of our apple happenings/doings. 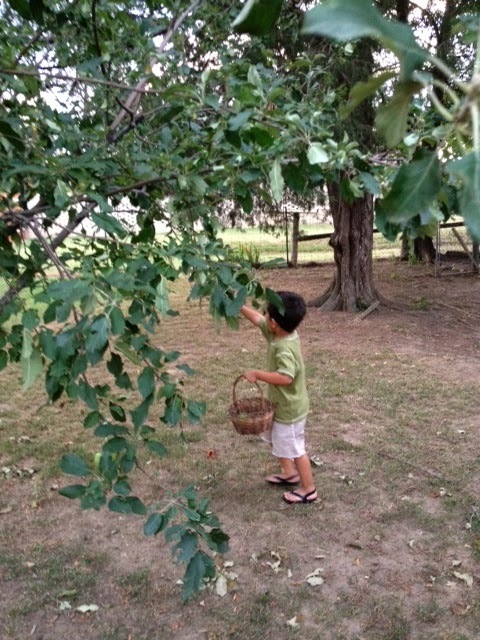 First, I must start with our apple picking day. 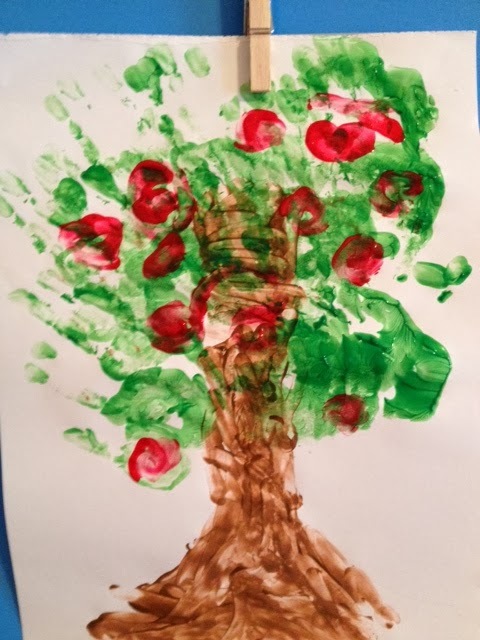 I decided, once starting our apple theme, that it would be a must to go and pick apples. I thought the experience would be great for Lil’ Man, not to mention fun. I found this website Pick Your Own where you can select your state and it will give you a list of places where you can pick your own and/or buy produce based on farms in your area. I called a couple of places, with no success. FYI, not all places listed are still in operation. I started to feel discouraged. 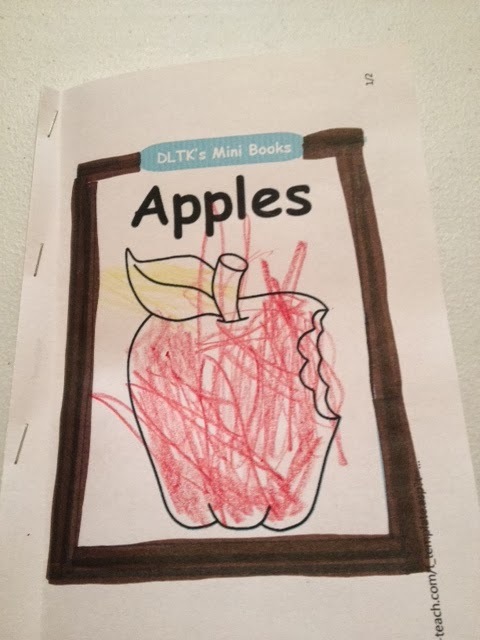 Our week of ‘apples’ was about to begin and we had no where to go. Then my mom called. She was going on and on telling me about “all the apples they picked from their (little) trees. We both were talking about how incredible it was, how surprised we were that they produced that many apples, yada-yada…and the thought came to me. 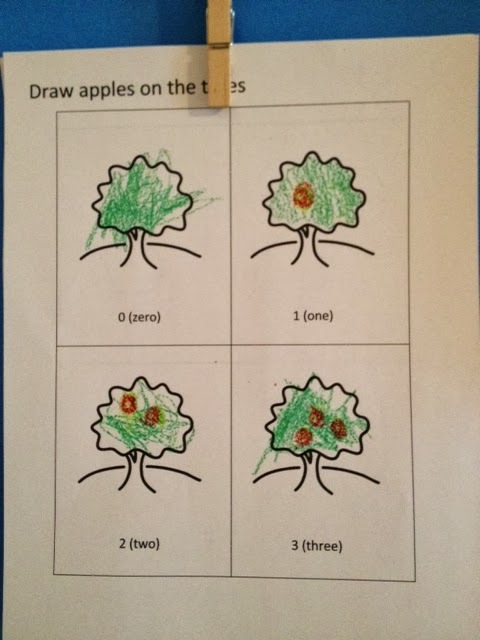 We were going to Abuelita’s house to pick apples. Yes, it was a 3 hour drive, but it was worth it. 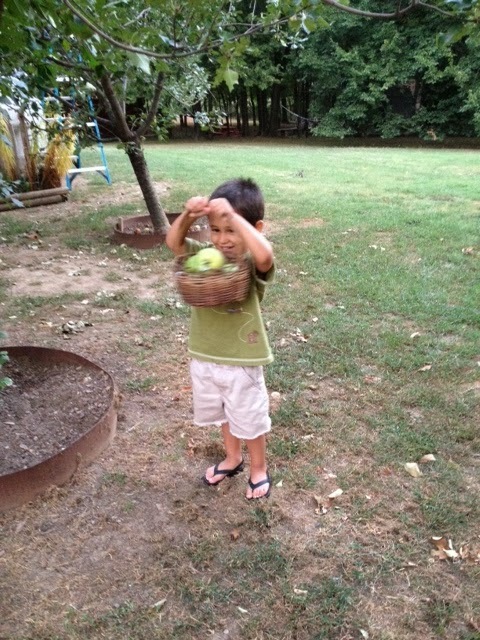 Confession – We may have tied the apples to the tree so Lil’ Man could “pick” them. 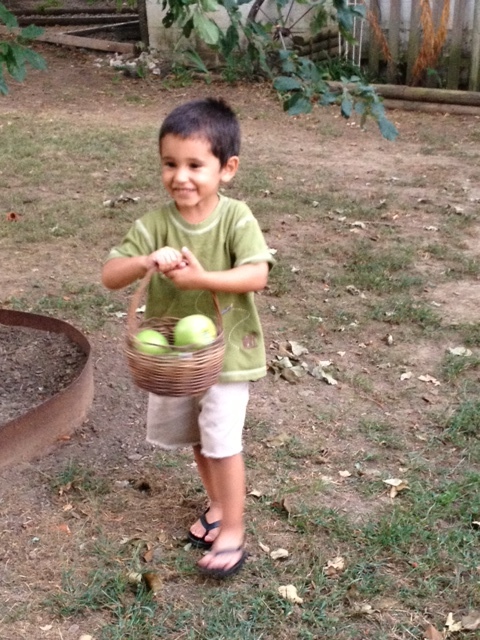 If you remember my earlier statement…you know, the one about how my parents had already picked all the apples. We improvised. 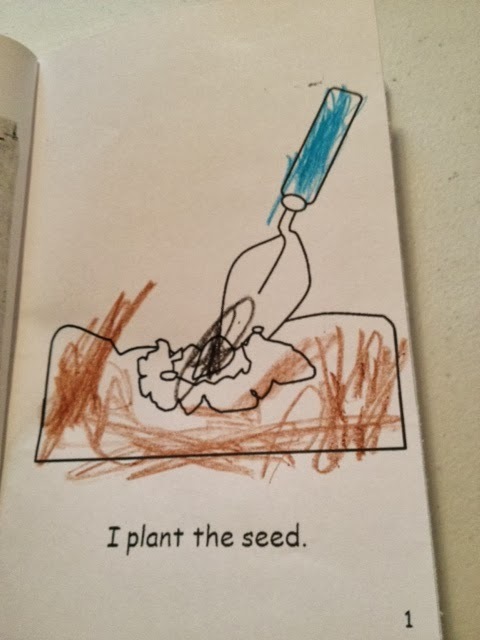 Yes, that is a paper sack my son is wearing. 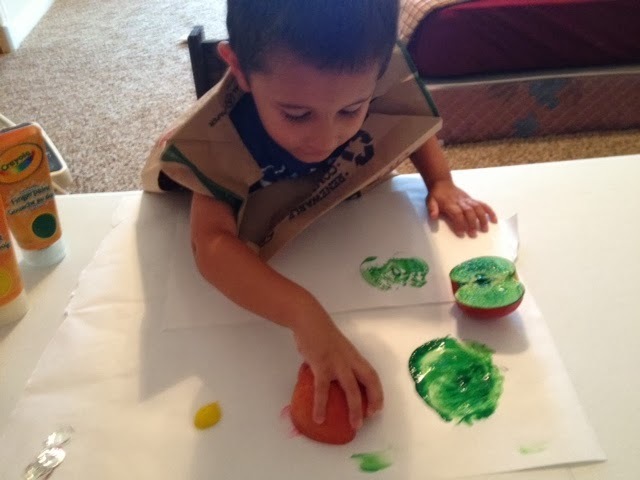 Yes, I am currently gathering up some of L’s old shirts for “art smocks”. 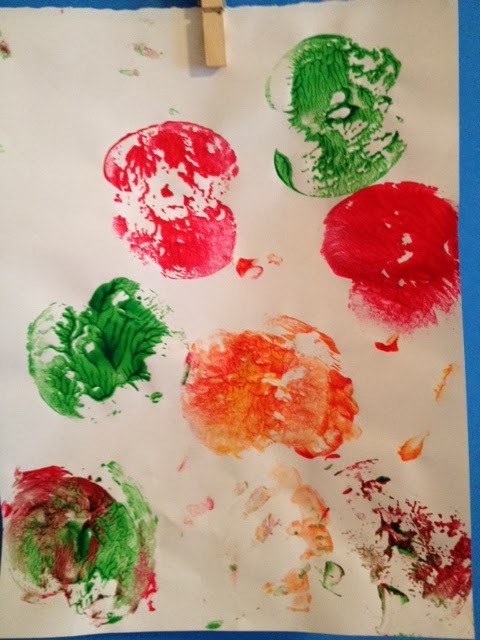 We used his hand-prints to make the leaves. 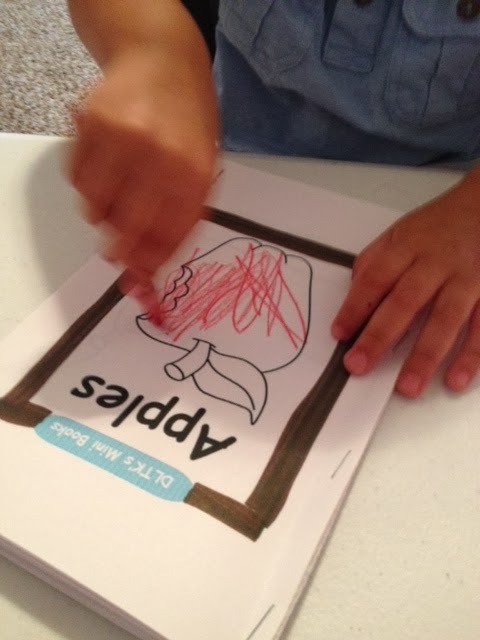 We made a book that he has enjoyed reading all week. 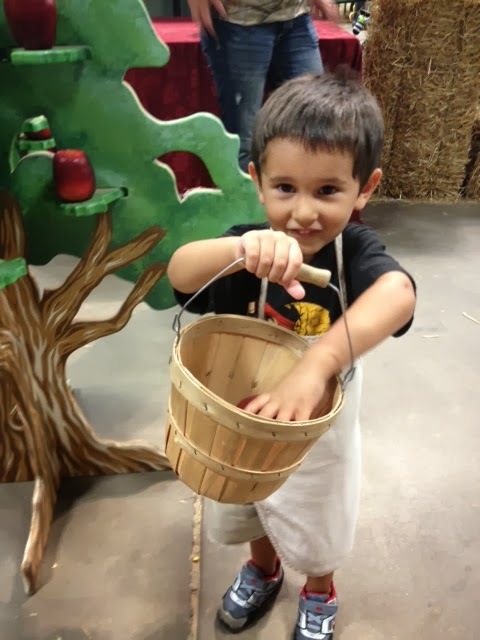 We were even able to pick apples at the State Fair. 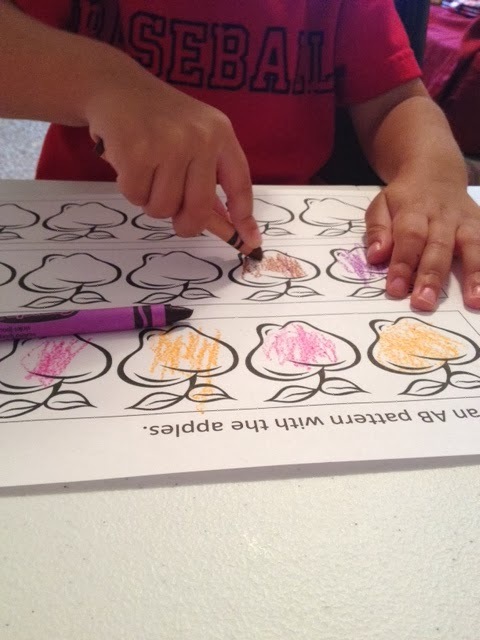 Checking out apple books from the library, doing these (and other) activities, and canning some apples were all a fun way to incorporate apples into our learning time. 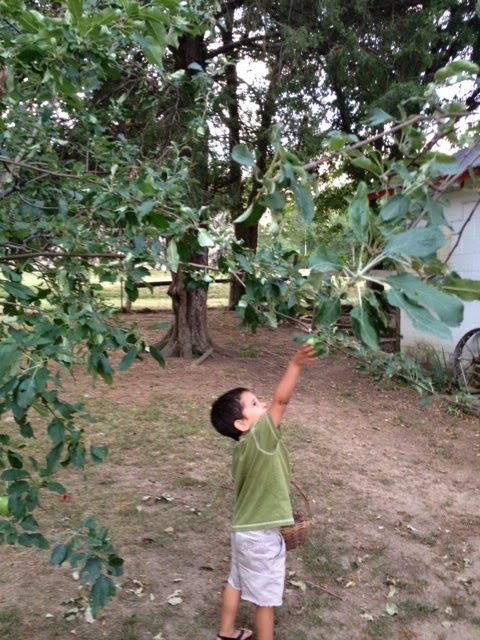 I am still contemplating getting an apple tree this weekend for him to plant in our backyard…we will see.